This is where your results and all updates about your samples will be sent. Please be sure there are no typos and that you do in fact check this email. When paying by credit card, make sure to use your credit card billing address. Click the "add sample" button below to begin adding your deer to the form. You can add as many deer to one order as you'd like, just keep hitting add sample after submitting each sample. Commercial/Resellers We offer commercial accounts for large volume clients. Click Here or email us at customerservice@deerage.com to get started. If you already have a commercial account your discount is taken off on page 3 after you have entered all your sample information. After checkout. In a few short days you will receive a kit in the mail with instructions on exactly how to package your samples as well as return envelopes. 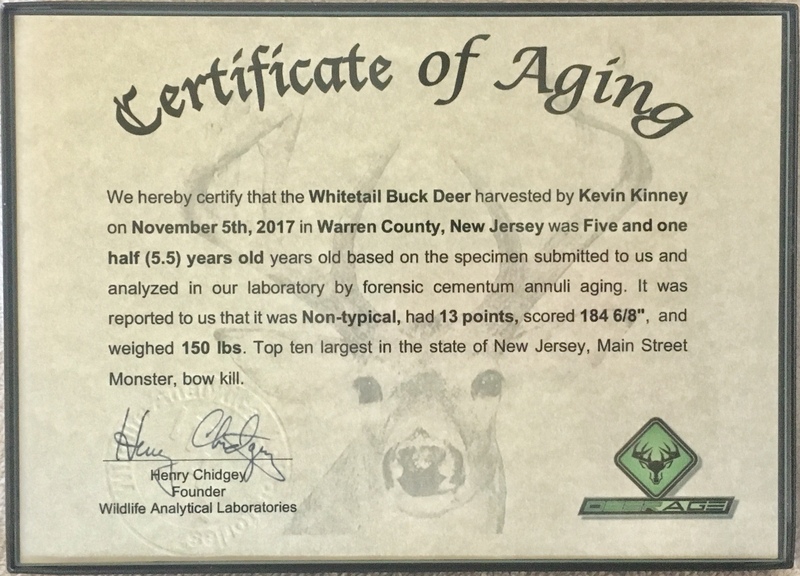 Keep an eye out on the mail for your kit and PLEASE add customerservice@deerage.com to your email address book so you will for sure receive updates about your samples via email! Enter your sample information as accurately as possible. The red asterisk indicates a required field. A nickname to help you remember the sample. By uploading a picture, you give us permission to post your trophy on our social media. **The preferred sample for cementum annuli aging is the two front incisors. If you don't feel comfortable removing them yourself, the front row of teeth (front mandible) is the next preferred sample. Molars are less accurate for cementum annuli aging and more involved of a process but if this is all you have send the side jaw and select molar aging. All of these options will be aged using the same method (counting the rings under a microscope) the cost varies due to the sample type submitted. The most accurate and economical is extracting the two front teeth but you MUST have the root in tact. Price includes the cost of the kit we mail you and the aging service. Commercial discounts are taken off the next page when you enter your coupon code. Any other comments you would like to include on the certificate? for example: bow kill, black powder, 30-06, etc... This will appear exactly how it is written by you in this field as the last sentence on your certificate. Upgrade option available during checkout.